" We started looking for web forms and stopped the moment we found your site! This form creator is exactly what we were looking for, plus more! How could you not get the premium membership, with all it provides! We are happy to use these forms as a way to get our clients to submit surveys and potential clients to sign up for our newsletter! Thank you for providing such an easy and versatile form creation website! " 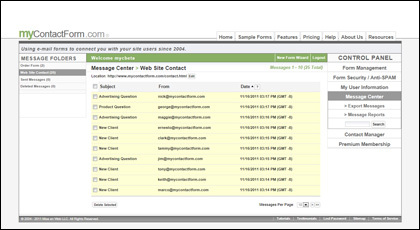 The Message Center is a powerful tool that allows you to read, reply to, export, and build reports from your submitted form data. 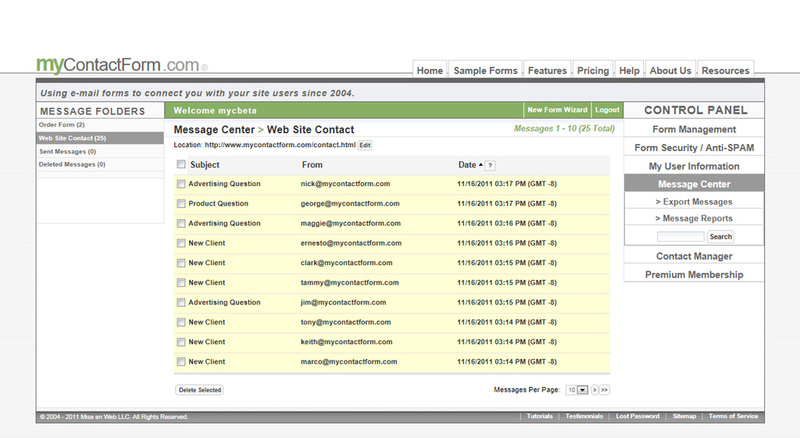 The first screen you see includes a list of messages from a given form. It works much in the same way as your favorite e-mail clients such as Outlook and Thunderbird.